winter is upon us and this is the time everyone starts to panick about their vehicles and if they are ready for the winter and horrible weather . Especially tyres. 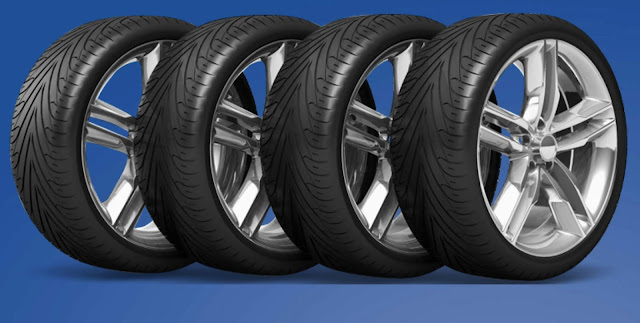 Tyre maintenance is so important and can essentially save you so much money in the long run if you check them regularly. Last week we had two tyres that were literally on their last legs and one actually ended up with a puncture half way driving to town - it wasn’t ideal and we ended up in the garage costing us an arm and a leg!. Depending on what vehicle you are driving and what you have inside your vehicle will differ to how much pressure is needed. So always check the pressure information which can be found either on the inside of the fuel filler cap, in the vehicle manufacturers handbook or inside the driver door sill. Tyre wear is normal but irregular tyre wear can leave you with having to change your tyres sooner than you think, things like aggressive turning, scuffing tyres in the kerbs repeatedly or going up the pavements fast can have an impact on your tyres, so be sure to keep these habits in mind in order to keep your tyres road worthy for longer. When the time comes for replacement tyres , then Car tyres in Northampton can be purchased from Stop shop - Calmac Tyres Autocentre. All you have to do is enter your car registration number , select the size tyres you need , choose the brand you would like and select a date you want them booked in for . It’s as simple as that! I hope my tips and tricks have give you a little insight to helping looking after your tyres as I’d love to hear any tips you have up your sleeves too !